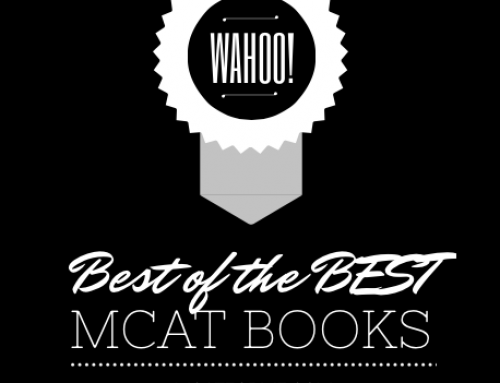 The Princeton Review Complete 6 Book MCAT Series is the best books for the 2016 MCAT exam. With an amazing new design, you can’t go wrong with Princeton Review's new book series. 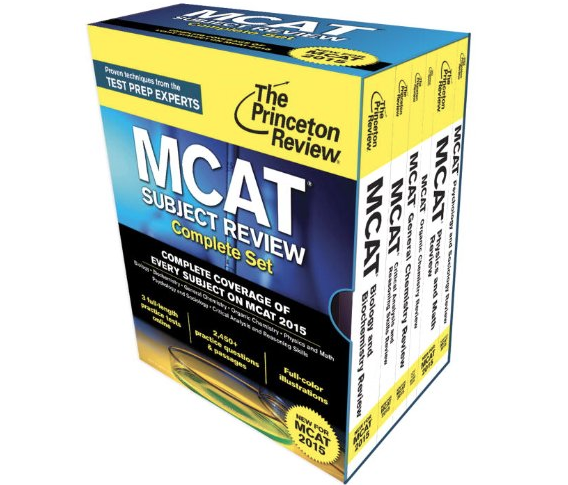 The Princeton Review MCAT Subject Review Complete set is our #1 choice for Comprehensive MCAT 2016 Books. With over 2400 practice questions and 6 books to guide you through every subject of the new 2016 MCAT exam, you will get the best preparation for this grueling exam. While it was a close race between the Kaplan 2016 MCAT series and the Princeton Review series, ultimately Princeton Review prevailed. Well it wasn’t a land slide, that’s for sure, and you can read what we had to say about the Kaplan books here, but the Princeton Review books came on top due to the quality and similarity of the content review. 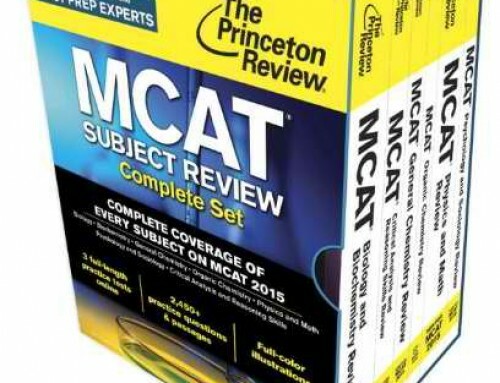 Princeton Review has been known for providing only the most relevant information that you need to know for the MCAT, without skimping on explaining major concepts. In our opinion, Kaplan, and some of the other major test prep companies lack in that regard. 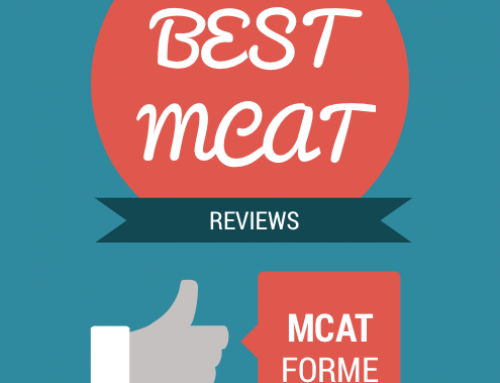 Therefore, Princeton Review was the all around winner and has been integrated throughout our all of our free MCAT courses. 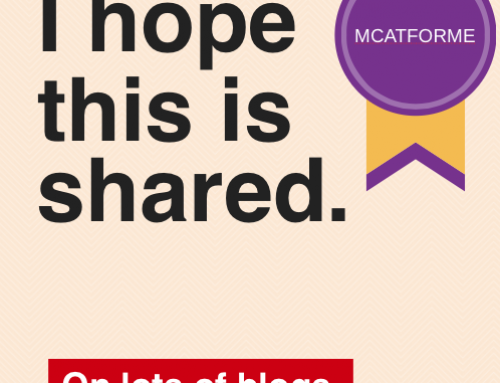 The new 2016 MCAT exam brings 3 new additions to the old MCAT: Psychology, Social and Biochemistry. 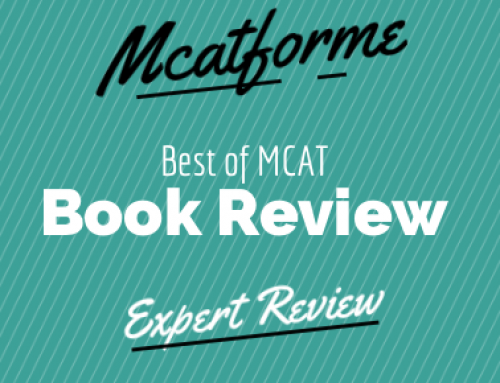 Therefore, in the revised 2016 Princeton Review MCAT Book Series, students gain access to a whole new book and a biochemistry addition to the biology book. Additionally, students will also gain access to 3 full length practice exams that have been designed specifically for the 2016 MCAT exam. In addition to the actual exams, students gain access to 3 full length practice exams online. However, each book only has one access code, therefore it is important to purchase a new book to ensure access. The book itself is spot on in terms of the difficulty and similarity to the MCAT. 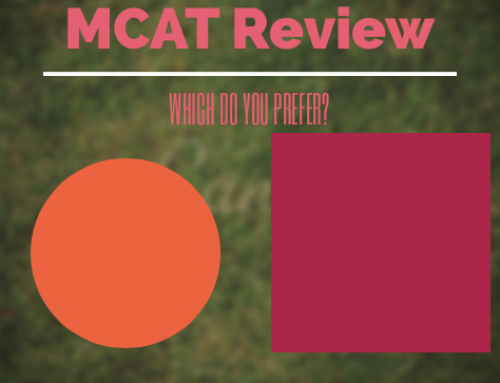 In my opinion, Princeton Review does the best job of teaching the exact amount of content students need to succeed on the MCAT. No less and No more. Kaplan and Examkracker books tend to gloss over some of the details, while Berkeley Review tends to go into a bit too much detail. Additionally, the practice problems and examples are great. Each question has been handpicked to give you high quality review and very detailed explanations. The only issue that I see with this book series is that students tend to mention the excess difficulty in practice exams. While this may be true, practice exams should never be used to measure your score, but rather to showcase the various types of questions and areas you need improvement. Therefore, I personally suggest my students to take harder rather than easier exams whenever possible. At $125, this is the best deal for any comprehensive MCAT book series that you will get. 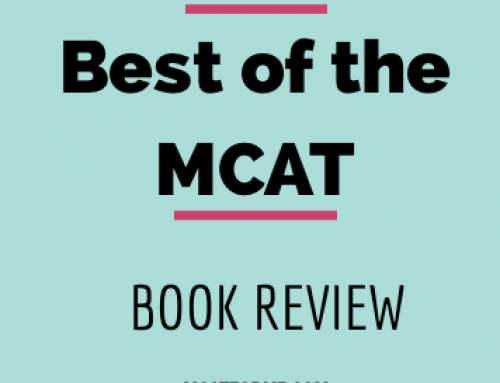 For just over $20 per book, and a handful of questions to practice from, you will get an extremely comprehensive review and be prepared for the MCAT exam. The Princeton Review Complete MCAT 2016 books are available on the Princeton Review website and on Amazon for about $100 cheaper. 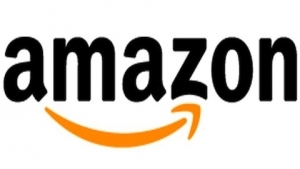 The books can either be purchased individually or as a complete series. However, be sure to at least purchase one book in a new condition, to ensure you gain access to the online practice exams. All in all, the Princeton Review made an excellent book with their comprehensive 2016 MCAT exam series. The quality is top notch and the bonus features in the new books are a great enhancement. We are confident to name this series the best MCAT book on the market and an extremely good value. 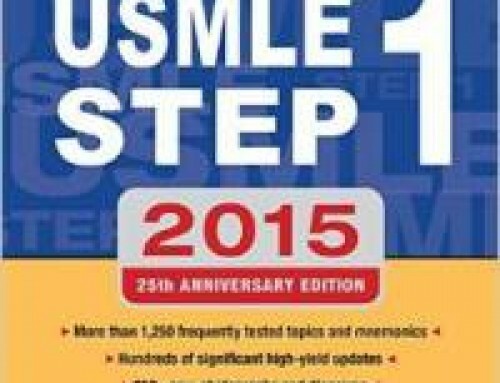 The Kaplan MCAT Complete 7 Book Subject Review Books are part of our Best 2016 MCAT Book Review. See where it stacks up!